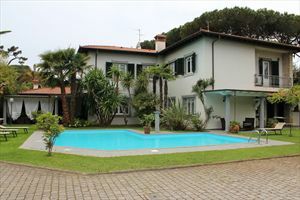 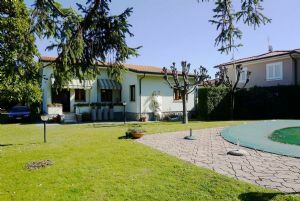 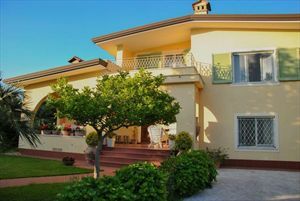 A classic, detached villa (200 m2) with a neat garden (800 m2) located in Forte dei Marmi, area of Vittoria Apuana, about 1000 meters from the sea. 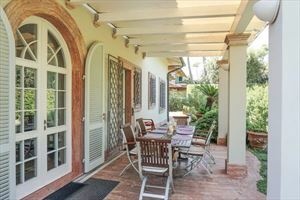 The ground floor features a porch with dining table and outdoor furniture, living room with two sofa beds, kitchen and dining room with fireplace and access to the terrace with outdoor furniture; guest bathroom, laundry room with an independent exit to the outside; a double bedroom and a bathroom with shower. 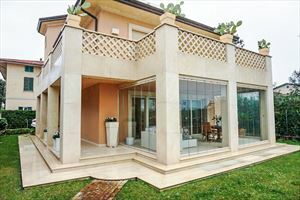 The upper floor has a master bedroom walk-in closet, a spacious terrace and bathroom with bathtub; 2 double bedrooms with balconies and private bathrooms with showers. 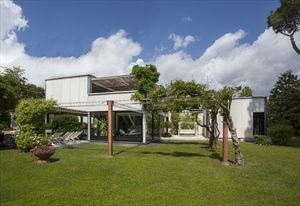 In the garden there is parking for several cars, including 2 covered spaces; gazebo, barbecue. 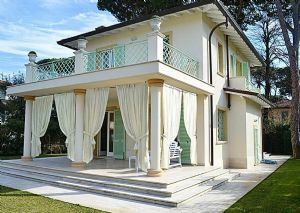 The property is provided with alarm system, internet Wi-Fi, satellite TV, air conditioning, mosquito nets, safe.